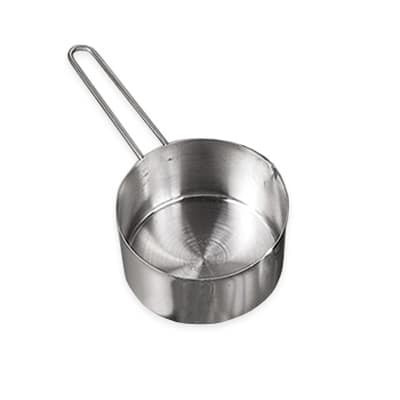 The American Metalcraft MCW14 measuring cup has a 1⁄4-cup capacity. This size is etched into the cup’s bottom in cups and milliliters, making it easy to differentiate between measuring cups. The wire loop handle is easy and comfortable to grip. With its stainless steel construction, the measuring cup is durable and resistant to corrosion.